You guys, Falsify is real! I know sometimes dramas about corruption and media play are overdramatized, but that certainly doesn’t seem to be the case right now. A large-scale union strike has been voted on and approved by workers at public broadcasters MBC and KBS, in an effort to oust the two networks’ presidents—MBC President Kim Jang-gyum and KBS President Go Dae-young—who are being protested for their politically influenced news censorship. The unions are demanding their resignations, and a return to free and credible journalism. MBC’s strike was approved by a 93.2 percent vote, the highest ever for a strike in the union’s history. KBS’s PD and journalist unions, now numbering over 1,130 people, have joined in ongoing demonstrations. Both networks’ unions will strike simultaneously beginning September 4, and news, variety, and drama programming will be affected as early as later this week. The boycotts began with journalists from both networks who refused to continue producing news programs that were being censored from the top. Both MBC and KBS presidents are being protested for using their positions to influence news in favor of former President Park Geun-hye’s administration, and already many announcers and other news and radio staff members have been boycotting their programs over the last week. MBC and KBS, meanwhile, are arguing that the labor strike is not actually about working conditions, and thus illegal. It’s been five years since MBC’s last strike in 2012 and three years since KBS’s last strike, for very similar reasons. A representative of the joint MBC-KBS labor unions stated, “We are hoping for the reform and the restoration of public concern in the media. In the previous conservative government, MBC and KBS lost the trust of the nation through politically-biased reporting, defamation, and editorial intervention. Not only that, but journalists who shouted for self-purification were suppressed and unfairly fired, transferred, or given disciplinary measures. We can expect news and variety to be hit hardest in terms of pre-emptions, but likely dramas will be affected as well if all the PDs and crew members go on strike for an extended period of time. (The last time MBC went on strike, it lasted 170 days.) Let’s hope for the best, and maybe line up a few of those old dramas we’ve been meaning to watch. And huge no. of ppl will fight for the same thing these ppl are against. Its not some new phenomena. In the end it all comes down to how someone perceive a specific set of information. Sadly that's how it is everywhere, lecturers in my country are also on strike right now so this injustice is happening everywhere, I also hope we can have a much cleaner world. This is painful because I have all the time in the world right now because of the strike and now dramas are also going on strike, it is sad. I hope they call it off soon otherwise I have to re-watch dramas or catch up with the one I have not seen before. ? Universities on strike in your country?sadly it's exactly the same in my country. Best of luck to the people in your country and their fight for justice. I hope all goes well. As for the dramas, I'm so behind on all of the currently airing ones that I'm actually not even worried about the impending halt. I've got plenty to watch for now and like @girlfriday said, there's always dramas to rewatch, too. I'm hoping for the best in regards to this matter and that the strike brings about some much needed changes. I'm just really really happy that all these people came together to fight for what's right. Yes for MBC, and I'm surprised at KBS cause I was sure it would keep rotting until the end. Just the fact that JTBC was the one to tell the truth about the former president shows how dirty those presidents are. Hopefully MBC at least will get what it wants, cause they are my favorite station. Honestly, I doubt KBS will do anything since they always get influenced by the government. The former KBS president was ousted after the 2014 strike if I'm not mistaken. The problem however is systemic. MBC, on the other hand, has a bigger issue compared to KBS because it is partly run by the government and partly by a private group. You can just imagine the influence not just of the government but of the chaebols (who are linked to the government) trying to fabricate info and content within that company. I'll gladly put my kdrama obsession on hold for this cause. We dang! I totally support them!!! ....Just hoping selfishly that the last episodes of School 2017 air; if not, OTP BTS reel on repeat! It's amazing to see these people put their neck on the line and risk being criticised or even fired for what they believe in. News impartiality is so, so important, I hope they receive lots of support and achieve their goals! Yup, once news stations pick sides misinformation spreads like fungus in a locker room. All semblance of dignity and trust is lost and you end up with what we're seeing here and in the U.S.... everyone just watches the news they agree with and nobody really knows what's going on. I hope this protest is successful. Last year I read an interview with an American who started reading some even keeled European newspapers online regarding what was happening in her own country. She'd lost that much faith in the US media. Thank you @girlfriday :) , I saw an article earlier today about possible cancellations of some "Infinite challenge" and "I live alone" eps due to a PD strike . I was trying to find some news, so this helps me a lot. I didn't know KBS was involved too, nor a similar strike already happened in the past. Argh Falsify is real, those corrupted Elders do exist and they're powerful. Let's hope this will help the industry in the long term , if less dramas and k-shows are going to the price, I'll gladly pay for it. My to watch list might have 60 entries on it ? No, I'm joking. I find the strike incredibly admirable. It's sometimes difficult for organised protests like this to take place, because people need to be brave enough to take a leap. good luck to everyone who involved with the strike. May the Force be with you! mbc president really need to step down FAST. its distasteful enough they went sasaeng way with following song-song couple to bali, they upped their disgusting way with secretly filming song sun mi's husband funeral who got murdered last week. she said no to media. let the poor woman grief in peace.??? Thanks for drawing this to our attention girlfriday. That over 90% of union members at MBC voted for strike action really tells us how serious this situation must be. Best of luck! Power to the people!!! ? YES to a strike! Protests are so heartening. It shows that people still care about what goes on in government and society. That there are people willing to fight for what's right. That there's still hope in the world. To echo what others have said, I'll gladly accept a hold on my dramas in favor of justice. Vive la résistance! The tv dramas take a pause for real life drama! always good to see that there are people around the world who really care about freedom of the press and are willing to defending that right. Everyday heroes right there! Hopefully the change they create is lasting so workers don't have to protest every 3 or 5 years again. Please get the prosecutors to investigate the presidents of MBC and KBS too. Get rid of them all at once. I can stand behind a strike that's mission is have journalistic integrity and honesty given back. To not be biased and influenced from the top to spread false information and propaganda. I hope their demands are met and they are allowed to be honest journalist once again. I can't believe media personnel hold strikes in Korea for journalistic integrity. It doesn't happen in my country, I can't see our news people biting the hand that feeds them in favor of their values, but I actually wish they would do it. Cheers to these people. Well, good luck to all of them. I'm always in awe of people who put their lives and livelihood on the line for what's right. Fortunately, I have never been in a position to have to do so. But I do hope their collective voices will be heard and the thugs in charge will resign. Quietly supporting and cheering them from Oregon USA! I heard that a lot of people complain how bad SBS is in this year. But this time, what they will say? actually SBS pays the best salaries from all the networks. SBS is the one that cut 1 daily drama and said they will cut the other by the end of the year. Only because they'd be losing money and not being able to pay the workers. Also SBS has had the best ratings out of all of them this year. I believe the one who got the worst is Reunited Worlds at 6%, which is still 2-4% more than what MBC and KBS got during 2017. I live in Brazil and I don't know if you guys heard whats It's going on here, but is an unbelievable mess, corruption has reached all levels of government and private companies. And we have a big TV station that unconditionally controlls the government and have always mislead the stories. What I mean is that if we had 1% of what these Koreans are doing, maybe we would be a little better, but unfortunately we don't have that in our society. So FIGHTING for them and hope they get what they want. I guess that is now a rampant issue worldwide. The mainstream media is now crooked. People don't trust them anymore. Sadly that seems to be getting more common. Some countries, like Venezuela, are ONLY served by government controlled propaganda media now, as China has been for some time. So that's why they haven't uploaded "The King Loves" 's extracts on youtube yesterday (for a moment I thought the broadcast had been cancelled! ... and I was miserable!). Go MBC and KBS people for the freedom of the press! Democracy is a fragile achievement and we must fight for it everyday! This is so cool! The last time there was a strike in CZE was in 2001 and it is now long overdue. Best of luck to the union workers! I'm glad people are fighting for the right to report un-biased and honest news. In the U.S. right now, the media is often under attack for reporting the truth, and I know firsthand how frustrating it is when people look at the facts/are not informed of the facts and either disregard them or remain ignorant to them. Hwaiting! This news is great and encouraging at the same time. The situation gitu perfectly with what Yeo Jin said, about how things can be changed if we keep our eyes open and speak up. *sigh* I hope I have a chance to see the same thing happen in my country: the change and the people who want to create that change. Well, this brings to mind Forest of Secrets and other recent corruption-related dramas that take this matter to the forefront and in turn empower those who believe in the chase to stop corruption at the very top. Bravo!! FIGHTING! Good luck to all the heroes! This news actually brings me to tears. There are plenty of other justifiable reasons for which the union members could've gone on strike (e.g. dangerously long workdays, a system that has resulted in some production staff never getting paid for their work, etc. ), but the fact that they're putting it all on the line for the greater good is so inspiring. Fighting against media censorship is incredibly important. 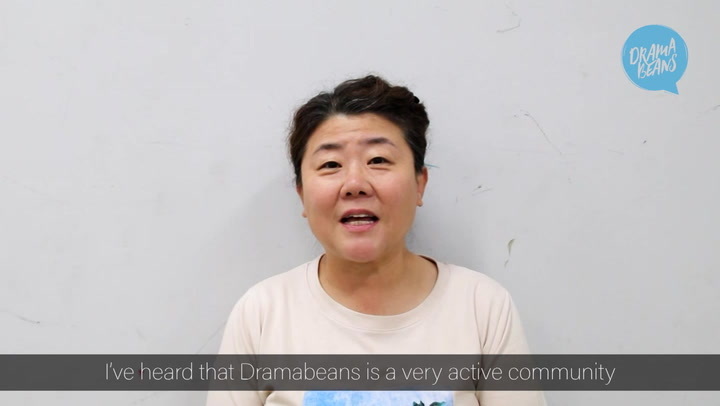 And Beanies, you are jjang for putting your personal concerns about interrupted/halted shows aside and showing up to voice your support for the strike. It makes me love this community even more. Perhaps the Revisiting Dramas theme should be extended for a while? Of course there will still be some new dramas to watch, but if pickings get too slim, maybe we could do a collective rewatch of an oldie-but-goodie and/or of an underrated gem. We could even watch a previously unrecapped drama together... being recapped as we go. I too teared up reading the comments, especially how Beanies from several countries around the world suffer from corruption tol. May I suggest "Father is strange" as the unrecapped drama to be picked, just to keep the lingering feeling of its awesomeness now that it has ended...? FIGHT STRONG, FIGHT HARD! WE'RE WITH YOU, UNION WORKERS! I admire the union workers taking a stand for their ethics and the integrity of their profession, a democracy with a gagged and bound media in thrall to the government is no democracy at all. May the Force be with them! Good for them! I was a bit concerned when I heard it was only variety PDs at MBC. I thought there needed to be more union members involved for a greater impact. This is good news. Now, if we could have the same thing happen at MSNBC, CNN, and FOX here in the States then things would be great. Kudos! May they be successful in their fight for credibilty and impartiality in journalism. If we cannot even trust the news, who can the people trust. I have a question. The SBS station is also public, why does it not go on strike? corruption and cronyism are really a norm with all the chaebol been protected at all time. I think about that problems is not only in Korea, but all countries in the world have that problem also. Cause the media (radio, tv's, newspaper) is one of tools for the politics to get what they want. Falsify K-Drama is real happen in real life. Believe me, cause I ex-journalist so I know it happened in real life. Power to all these Union Workers!!! The people, united, can force a change. I hate having to miss my dramas but I am with you, those who are fighting for an honest government! !